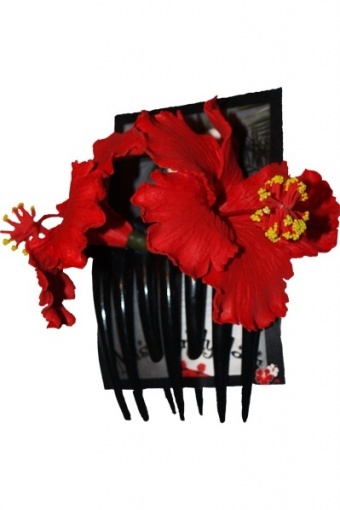 Elikapeka Hibiscus double flower red haircomb from Miss Candyfloss. Handmade double hibiscus flower attached on haircomb. Length: 9 cm We do not want to crush the flower, so it will be shipped in a small box.